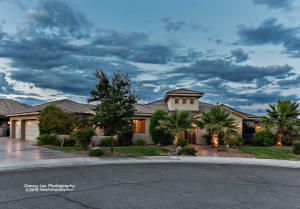 St. George, Utah – it’s January 30, 2016 and according to the Flex MLS system, serving the Washington County Board of Realtors, so far there are seven St. George real estate listings on the Southern Utah Open House Directory for today. While some of southern Utah’s residents will be attending the St. George Winter Bird Festival, others will be challenging themselves with a Cedar Breaks guided snowshoe adventure. As for me, I’ll be heading up to Brian Head for a quick day of snowboarding with the family. And for those residents and visitors alike with an open itinerary on this beautiful day, as of 6:30 AM, the following 7 Open Houses were placed on the Southern Utah Open House Directory. Keep in mind; the Southern Utah Open House Directory is a living document that is fed by the Washington County Board of Realtors Flex MLS system. Meaning that, if an agent wakes up and decides to do an Open House today at 9 AM, they can simply click a button in our MLS system and their property will automatically populate to the Southern Utah Open House Directory. That said there are currently 701 active single-family residential listings – including townhomes/condominiums – for sale in the greater St. George area. Of which, 382 real estate listings are between $300,000 – $500,000; 175 southern Utah real estate listings between $500,000 – $1 million, and there are 50 St. George Utah luxury homes over $1M. 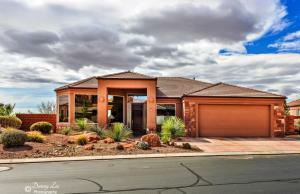 Of today’s 7 Open Houses, the most affordable property is an attractive home in Copper Canyon, and is listed for $364,000. Meanwhile, at the other end of the affordability spectrum is a 5 bed, 5 bath home listed for $749,000 in Northbridge Estates – located in the Green Springs subdivision of Washington City. 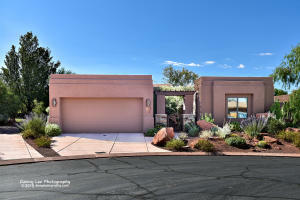 With that background given, today’s seven listings on the Southern Utah Open House Directory can be found in the following subdivisions/municipalities: Villa Bonita, Northbridge Estates, Copper Canyon, Paiute Springs at Entrada, Ancestor Estates, and Sky Mountain Estates. Directions: Take State Route 9 to Hurricane. Turn North on 2600 W. 4 minutes from Highway. 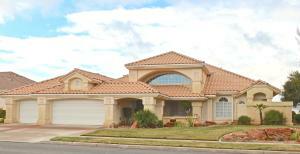 Home on Left before the golf course. Comments: Come see the best of Hurricane! Directions: Enter the central Entrada guard Gate near the golf course. Guard will give you a map of the community. Comments: Entrada~Paiute Springs. Go to Entrada gate and guard will give you directions! 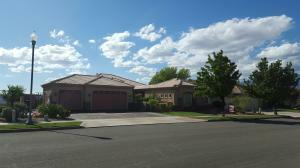 1986 sq ft, detached casita, radiant heat floors, fantastic upgrades, used as second home. Comments: Copper Canyon home with amazing views! 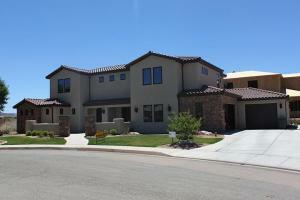 Comments: Come by and take a look at this beautiful Tuscan home that sits in a quiet culdesac. Wonderful views of Pine Mtn & Zion. *Information is deemed to be reliable, but is not guaranteed. © 2015 435MLS and FBS. Prepared by ALEXANDER YEAGER, 435MLS on January 30, 2016, 6:30 AM.